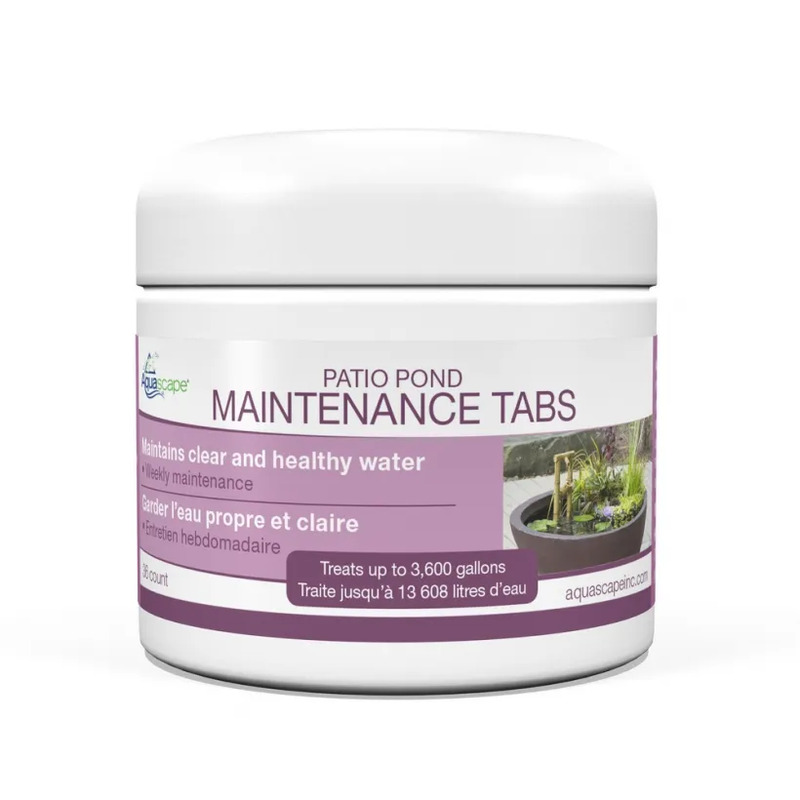 Patio Pond Maintenance Tabs - Aquascape, Inc.
Aquascape Patio Pond Maintenance Tabs help to provide clean, clear, and healthy water conditions, significantly reducing maintenance required in container water gardens. 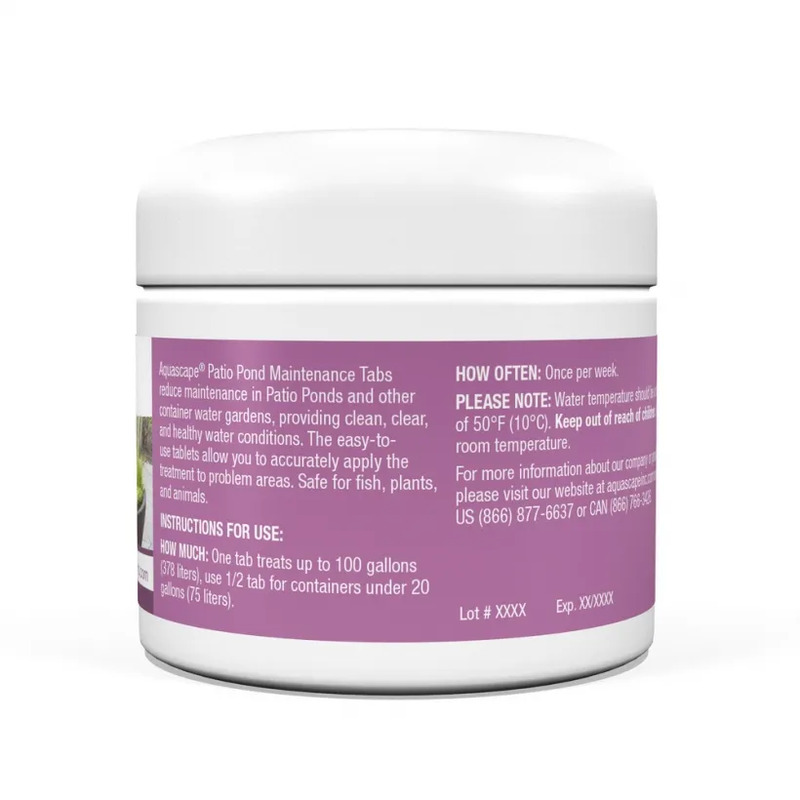 Our Patio Pond Maintenance Tabs contains 8 pure strains of beneficial bacteria to help optimize the water quality. The easy to use tablets allow you to target your treatment by placing the tablets in certain areas of the water garden, allowing you to spend more time enjoying your water feature. The treatment is completely safe for fish, plants, pets, and wildlife.